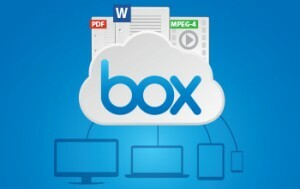 Box provides document storage and collaboration and is accessible through web browsers and mobile devices. This service has been approved by the University and may be used to store all classifications of data according to the University’s Data Classification System; however, users must obtain permission from their information security officer before storing any data classified as DCL4. Collaborate on documents and share files with people inside and outside the University. Access from devices running Windows, Mac, iOS, Android and Windows Phone operating systems. Synchronize files with Windows and Mac operating systems. 50 GB for students; additional storage not available. See the Box FAQs for additional information. Individuals are eligible to receive 50 GB of storage for no fee. Faculty and Staff may purchase additional storage for $0.60 per 10 GB per month. No additional storage is available for students. Departments are charged $3.00 monthly for a minimum of 50 GB of storage. Additional storage is available at $0.60 per 10 GB per month. If you would like a departmental Box account, please contact your IT Pro. In a few moments, your new Box account will be created! Learn more about what happens to your Box account after leaving the University.